AV v RM  EWHC 1173 (Fam), reported on Family Law Week today, serves as a reminder and clarification of the test for permission to appeal. The case concerned residence proceedings involving two children. There was already a shared residence order, which provided for the children to spend four nights out of fourteen with the father. 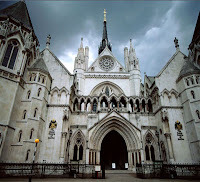 On the 9th February 2012 the district judge continued the shared residence order but provided that the children should move to be with their father primarily, contrary to the recommendation of the CAFCASS officer. The mother sought permission to appeal. (b) there is some other compelling reason why the appeal should be heard." He went on to point out (at paragraph 10) that no gloss should be placed upon on the words of the rules other than to say that "real" means that the prospect of success must be realistic rather than fanciful (see Tanfern Limited v Cameron MacDonald  1 WLR 1311). In the present case, he was satisfied that the appeal had a real prospect of success, and therefore granted permission to appeal (paragraph 13). blimey! family law still has cases over the nature of the test for permission to appeal... no wonder it all takes so long. and that definition of real looks familiar. :-) We family lawyers are at the cutting edge! 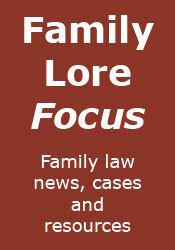 Featured on The Barrister Blog!